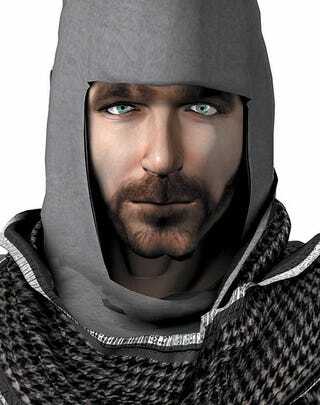 The New York Civil Liberties Union is suing the city of Troy, New York and its Public Works Commissioner, Robert Mirch, over shutting down controversial video game exhibition, Virtual Jihadi. Virtual Jihadi is actually a PC mod of a mod of a low-budget first-person shooter that came out in 2003. In the original game, Quest for Saddam, players hunt down and kill Saddam Hussein. The first mod, created by Al Qaeda, re-skins the game so that players are out to get President George W. Bush. Virtual Jihadi is Iraq-born artist Wafaa Bilal's follow-up mod to the game which puts Bilal in the role of an Iraqi citizen who joins Al Qaeda to avenge his dead brother by killing Bush. Bilal says that his work is designed to raise awareness about the vulnerability of Iraqi citizens' recruitment by Al Qaeda "because of the U.S.'s failed strategy in securing Iraq." Also, he says the game addresses the racist stereotypes presented in the original game, Quest for Saddam. Bilal, a U.S. citizen and a faculty member at the Art Institute of Chicago, was invited to display his work at Rensselaer Polytechnical Institute in Troy but was abruptly ordered off campus after the school's College Republican Club raised objections to the game. Bilal was then offered space to display Virtual Jihadi at a nearby gallery, the Sanctuary for Independent Media. The gallery, however, was suddenly shut down for building code violations by Troy's Public Works Commissioner, Robert Mirch. This latest lawsuit alleges that the city's shutdown action taken in March 2008 was a suppression of free speech. The suit seeks to stop the city from blocking the exhibit further and requests lawyers' fees and damages of an unspecified dollar amount to be paid by the city. You can find the text of the NYCLU complaint here and the original press release here.